I started reading this book with very limited knowledge of the Fitzgeralds. I read another book about Zelda Fitzgerald, Z: A Novel of Zelda Fitzgerald recently and had only the knowledge of that book of what the Fitzgeralds were like. They were king and queen of their era and everyone loved them. They reigned over the most scandalous parties, engaged in passionate love affairs and mingled with some of the finest literary writers of history. Yet they had their own tragedies and heartbreak that seemed to ruin them. Once in love, their lives take a traumatic turn and soon their relationship is wrought with betrayal and madness. The other book I read about these two focuses more on their life in the glamor, while this book focuses on their breakdowns and life outside of the spotlight. Zelda is placed in a psychiatric clinic for her insanity. One day she is brilliant, the others she slips deeper into her own madness. 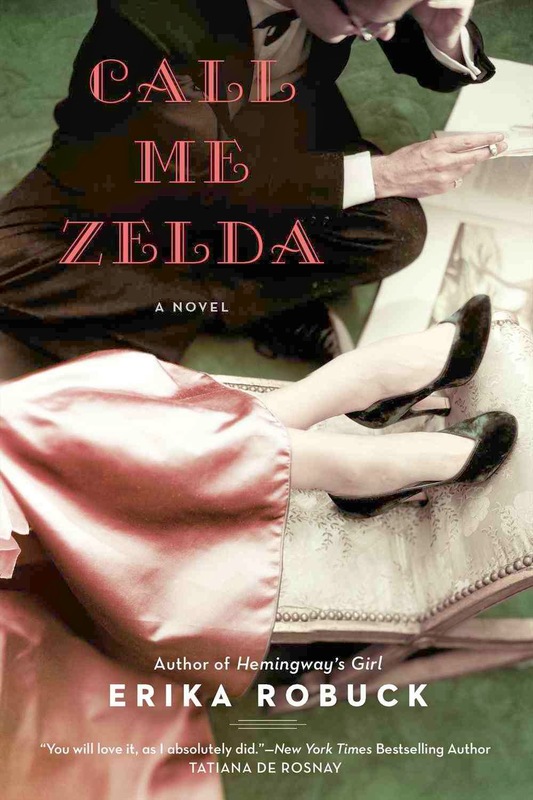 Anna Howard enters the picture and uses her own past to relate to Zelda in a way that few people have in Zelda's life. Zelda becomes reliant on Anna and they form a friendship that will last through the years. This book is a beautiful picture into a celebrity couple whose own tragedies rip them apart as a couple and inside their own minds. Scott is an alcoholic who cannot hand over the torch of genius to his smart and brilliant wife. Zelda cannot get out from Scott's shadow to forge a life and name for herself. They are tethered to each other in ways that will destroy both of them. Robuck does a fantastic job of creating an interesting story that the reader, despite knowing the outcomes of these two tragic characters, can't help but cheer them on and hope for salvation. Robuck has nailed sympathy for these characters and made this story touching beyond words. I found this book to be openly engaging, utterly tragic and beautiful at the same time. I couldn't put it down. It was simply a different approach to famous people who are acclaimed for their genius, but that genius tends to defeat the characters in the end. A great read that I encourage people who want to learn more about Scott and Zelda Fitzgerald to read.